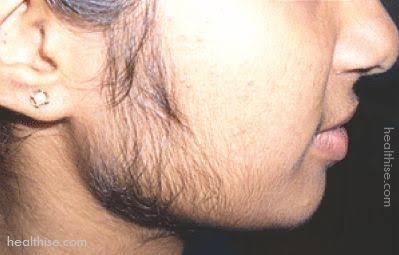 In medical terms, abnormal hair growth (on the face as well as the body) in women is called hirsutism. It has been observed that individuals with dark hair or pigmentation are likely to be hairier than those with a lighter pigmentation or blonde hair. People typically have hair almost everywhere on the body, except on the nails and eyeballs. Thus, women do have facial hair, but it is usually only fine hair or peach fuzz. Unwanted facial hair can become an embarrassing beauty concern for women, especially when they age and their estrogen levels change due to menopause. Whether you have unwanted hair over your upper lips or chin, on cheeks or forehead, facial hair will remain like that- unwanted! A glowing face with bleached golden hair too doesn’t look that appealing. You also don’t want to shave these facial hair. 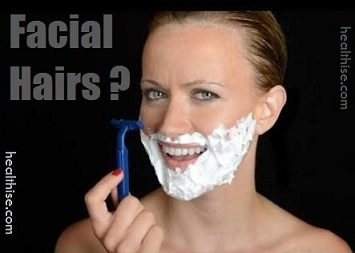 After all, women love to have soft supple skin and shaving does make it rough. Unwanted facial hair can be an major issue for women, and can sometimes even cause distress and can make a women lose their confidence. There are many causes of facial hair, and the best treatment for this problem is often natural, as they will not harm your skin. After all facial skin is sensitive and soft, not to take chance with chemicals and artificial medications. What to do then? Try these natural home remedies to remove unwanted facial hair. True, home remedies take longer to show results but they don’t damage your sensitive facial skin nor do they have any side effects like the chemical laden hair removing products! Some of them are so easy to apply on your face that you don’t feel you are giving any extra effort to remove those stubborn hair from your face. 1.1 How to Remove Facial Hair? From teenagers to oldies, everyone desires hairless face. Given here are powerful home remedies for cleaning face that work on most of the facial ailments including acne, dark circles, hormonal and pimples along with removing hairs from the face. Besides being good for one's complexion turmeric has antibacterial effects. It also helps to curb hair growth. Turmeric is also good for many other skin problems and wounds. 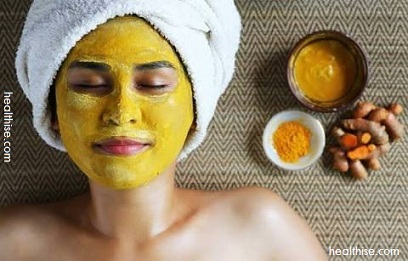 Make a fluid paste by soaking turmeric powder in water, apply to the facial area where you have excess hair and leave on for a few minutes. After it dries, use a cloth dipped in warm water to wipe away the turmeric and the hair, too. A chickpea flour face pack will help exfoliate your skin to remove dead skin and hair. Plus, it can lighten the color of your skin and facial hair. You can get chickpea flour, also known as gram flour or besan, from an Indian market or health food store. Since our grand-mothers time we know that gram flour (Besan) is used for face packs. 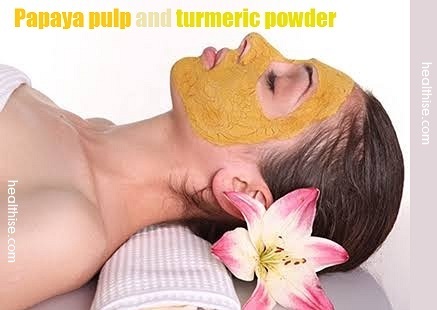 Women in many parts of India regularly used a face pack made by mixing gram flour with turmeric. This is believed to have the ability to remove the excess hair on the face, particularly around the mouth and chin. It also helps in getting a smooth and flawless skin. Mix equal amounts of gram flour and turmeric with a little water to make a thick paste. Apply this paste on the face, leave on until it dries totally and then with a cloth dipped in warm water rub off this face mask. Eggs have various benefits for the skin and hair. Take the egg white of one egg add half a tablespoon of corn flour add 1 tablespoon of sugar. Make a smooth paste and apply this to the portion of your face that has unwanted hair. Once dried just pull it off firmly and the hair will get pulled out, too. It's painful but the results are amazing. Foods like Reishi mushrooms have been shown to significantly lower testosterone levels. Japanese experiments of 19 edible and medicinal mushrooms showed that alcohol extracts of Ganoderma lucidum prevented the effects of testosterone. The gentle grainy texture of oatmeal makes a good facial exfoliating agent. Scrubs have always been useful in removing hair. However, commercially available scrubs may sometimes leave sensitive skin dry, itchy and red. Oatmeal, on the other hand, due to its avenathramide class of antioxidants is able to reduce redness and protect your skin against UV sun damage. When you make these natural scrub using oatmeal and other skin friendly ingredients, you not only get rid of unwanted hair but also get soft, hydrated and smooth skin. After this, gently rub your face in circular motion for about 2-5 minutes. Where you have hair on your face, rub against the direction of the hair growth. Keep your hand gentle. Fenugreek is a very good medicinal herb for many women related health problems, one of which is hirsutism in which women body parts get hair just like men, for example beard and chest hair. To take all the benefits of fenugreek, you may soak a tsp of these seeds in a glass of water overnight. Then have this water along with seeds in the morning. If you, however, want to use fenugreek only for facial hair removal, use it in a scrub-mask form. Spearmint tea is among the tastiest herbal tea for correction of excess testosterone. A study carried out in Turkey showed that PCOS women who drank 2 cups of spearmint tea every day for a month showed a significant reduction in the level of excess androgen. In India this approach is very popular among the youngsters who want to get rid of the unwanted hair, considering the fact that other methods are actually harsh upon their sensitive skin. Make a paste using Turmeric Powder(Haldi) + Gram Flour(Besan)+ Curd.Apply the it gently on the parts where you find excess hair and allow it to dry for 30 Minutes. Then damp the face and slowly rubbing it in the opposite direction of the hair growth wash it off sing cold water. Once its done apply moisturizer for the skin to look supple and soft. Apply the paste once a week for about four months and you’ll surely begin to see the changes. Pumice gems contains crystals like substance that cold be used for scrubbing the area where there is excess hair growth. Use it as soon as you apply water and soap or various other lubricants on the body before using it, else it could form rashes along with red spots on your skin. Using pumice gems regularly before bathing can help in completely reducing unwanted hair growth on the body. Its home-made waxing product, easy to make and use! Mix Honey+Lemon+Sugar [30: 10: 60 in proportions] Microwave on high till it gets into a gel like consistency. Let the gel cool to some extent so that you can apply on your hands and feet, otherwise it may result in burns on your skin. Apply a thin layer on the area and then using a rough cloth pull of the unwanted hair in the opposite direction of hair growth. Clean the surface, apply moisturizer on it and attain a smooth and glowing skin. Potatoes combined with yellow lentil are an Ayurvedic process to get rid of the hair on the face and other parts of the body. Potatoes have natural bleach properties in them. The combination of both these items will help in making the hair color lighter. Make a paste of soaked lentil and juice extracted from crushed potatoes. Apply on the face and other parts of the body and leave it to dry. Remove the paste in piles by rubbing the fingers over the paste. It helps in removing unwanted hair permanently by repeating the process two to three times in a fortnight. Wheat bran is a nutrient rich outer layer of the wheat grain. 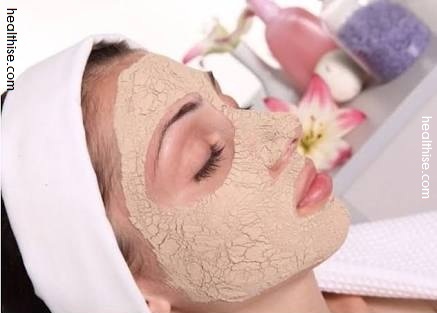 It is not only healthy but is a great natural cosmetic product used to make various masks and scrubs. It not only removes the unwanted hair on the face but also helps to get rid of the wrinkles. Take all the ingredients and mix well to make a paste. Apply this grainy scrub on the face and rub it gently on your face in circular strokes. Keep scrubbing until the wheat bran scrub dries up completely. Repeat this daily for first few days and then do this for 2 – 3 times a week after this. Thanaka is a very popular tree in Myanmar whose bark is used for cosmetic purposes. It helps in removing unwanted hair on the face and other body parts easily when mixed with Safflower oil helps cleansing and making the skin get softer and smoother. Thanaka powder is a natural body hair inhibitor that helps in easily removing unwanted hair. Natural home remedies take a longer time to show results and hence lot of patience is required. There are no chemicals in these natural ingredients, hence any side effects. You can now find an active enzyme in raw papaya named as papain. You can now use this to remove unwanted hair as it will restrict the hair growth easily. This also helps in exfoliating the skin and makes your skin tone well improved. If you have sensitive skin, papain present in the fruit will work well. In order to make this remedy, you have to take 2 tablespoon of raw papaya pulp and ½ teaspoon of turmeric powder. Now apply it over the face and other area of skin where there is unwanted hair. Wait for 15 minutes and wash with cold water. Are you going bald or losing hair very fast and worried about it? Why men and women facing baldness or hair loss panic about losing hair but do nothing. Yes, there are plenty of options available to take care of your hair. We are sharing hair loss guides below. Please read them to follow and regrow hair easily. Preventing hair loss is completely under your control. What Are the Different Types of Hair Loss Treatments For Men?  What are Common Causes of Hair Loss in Girls? Well I’m 13 and used to have these really fine hairs on the sides of my face, upper lip and chin. I shaved them all off a few months ago but then let them grow back and everything seemed fine but it did irritate my skin a bit as I didn’t use any creams. Well today I woke up and I did it again. I don’t know why and I am really regretting it now but I was just becoming so self conscious about them. I used a normal hand held razor and then exfoliated my skin, applied moisturizer and suder-cream (not sure how to spell it, comes in a little grey pot and is used to calm irritated skin). But now I am really worried that because I have done it more than once the hairs are going to come back really thick, black and coarse. So what I want to know is, will they grow back thicker and darker? Will they cause breakouts? Will I have to continue doing this now I have started? Are there any other women that do this? Thanks for all the answers, really beating myself up about this. Really embarrassing facial hair… I’M A GIRL FOR CHRISTS SAKE!? I have recently out of nowhere started getin hair on my face…. it look like 5 o clock shadow on my upper lip (dont laugh can you imagine how embarrassing this is and hoow ppl would talk if they notice) like wtf y me…. i didnt even know girls get facial hair… why is this happening to me?